редставлен анализ востребованности и тематической направленности диссертаций и отчетов о НИР на казахском языке за период 1993-2010 гг. Рассмотрены наиболее популярные сферы применения казахского языка на примере диссертационного фонда информационных ресурсов научно-технической информации, формируемые в Республике Казахстан. Ключевые слова: казахский язык, информационные ресурсы, востребованность непубликуемых документов, диссертационные фонды, непубликуемые документы, фонды диссертаций. The analysis of demand and thematic focus of theses and R&D reports in the Kazakh language for the period of 1993-2010 is provided. The most popular scope of Kazakh language usage in the example of the Dissertation Fund of the Information Resources of Scientific and Technical information generated in the Republic of Kazakhstan is considered. Keywords: Kazakh language, information resources, demand, dissertation funds. Ключевые слова: казахский язык, информационные ресурсы, востребованность, диссертационные фонды. During 1993-2010, in the system of training and certification of highly qualified personnel in the state language 4891 dissertations, including 617 doctoral and 4274 candidate, were defended that make up 20.4% of the total number of defended dissertations. Over a period of years, an increase of defenses of dissertations in Kazakh is permanently observed (Figure 1). In 1993, it was registered that there were 50 dissertations defended in Kazakh in 5 scientific directions, 31 dissertations of them in philological sciences, 11 in history and by one work in jurisprudence and philosophy. In 2010, 1,168 dissertations in the state language in 20 scientific directions were registered. The greatest number of defenses took place on philology (222), pedagogics (213), History (130), Economy (100). The number of defended dissertations from 1992 to 2010 is given in Figure 2. If in the first years of the formation of dissertations’ funds in Kazakhstan, dissertations in Kazakh didn’t exceed 1%, in 2010 already made 24.1%. The impressive growth of this indicator is evidence of increase in the number of highly qualified specialists who hold scientific Kazakh language. In connection with the reform of the system of training of highly qualified personnel and the termination of the order certification of scientific brainpower on assigning the degree of a candidate or doctorate of science which passed to a new single-stage system of PhD doctorate in 2011, comparative data on a ratio of annual number of the defended dissertations are submitted only till 2010. The first PhD dissertations were defended in Kazakhstan in 2008 in 3 universities: Al-Farabi KazNU, L.N.Gumilyov ENU and KazNAU. Below, data on the dissertations for the academic degree of a candidate and doctor of science, not including the PhD dissertations, are presented. From the total amount of the dissertations which are in the fund, works in Kazakh were defended on 18 — 20 scientific specialties. They are given on sectoral structure in Table 1 and Figure 3. It is possible to note that the main share of the dissertations in Kazakh is defended on social sciences and amounts 80.7% of the general Kazakh language fund. In particular, the defenses on philology dominate (28.4%), then on pedagogical specialties (19.5%) and dissertations on history (11.2%). Figure 3 — Sectoral structure of dissertations 1992-2010. It is possible to mark that the potential of knowledge and the scientific and technic results, accumulated in this fund is demanded to a certain extent. JSC «NC STI» started conducting the study of demand of the unpublished documents’ fund using the methodological approaches of Russian scientists V.V. Arutyunov and I.V. Marshakovoy [1-6] from 1996. Such studies allow to determine the relevance of carried out operations on establishing the funds in Kazakh language. Assessment of demand and sectoral request for R & D and dissertations was carried out by using applied in practice Scientometrics of calculation indexes considering the number of requests for a material of the accumulated fund for a certain period of time: impact-factor, coefficients of request, demand and response [1-4]. In this case, the demand factor Df was applied. This is a scientometric indicator which reflects the ratio of the number of requests received for a certain time from various users to the number of requested documents. This coefficient shows how much the scientific and technical product is actual according to demand. In other words, Df is the average value which determines the frequency of a requested dissertation. D is the number of requested documents. Study of the problems of unpublished documents’ demand becomes important, as from a practical point of view for the search of ways of their effective use, and from scientific to identify the most used part of the documentary sources and actual thematic directions of science. The demand of the dissertations’ fund is researched in a section of consumer categories, types of organizations, their territorial belonging and thematic orientation. The conducted research of the demand for dissertations in Kazakh language, shows that in 2010 in comparison with 2004, interest in these dissertations increased by 7.4 times and the number of requests increased by 9.3 times (Figure 5). However, from 2011 to 2013, it became to arrive a slightly smaller number of requests from consumers for which there is an objective cause contained in the fact that there was a reform of the system of training of highly qualified personnel and as a result, the number of information consumers on the category of doctorate and candidates and post-graduate student was reduced. As a result, in comparison with 2010, the volume of requests and the number of demanded documents was reduced by 13% in 2011. In the same year, 2181 requests were received to 1849 documents, i.e. on average each document was demanded 1.2 times. In 2010, 45% of the general dissertations’ fund which is available in Kazakh was used by information consumers and this indicator made 44.5% in 2011. In 2012, 1723 documents weredemanded in 2057 requests, demand factor of each document was also 1.2. In 2013, 1791 documents were presented for 1970 requests. The factor was 1.1. During the covered period from 2009 to 2013, the average demand factor was the highest in 2012 (1,19), in remaining years, The Df equaled 1.13 — 1.18. Thus, on average, every dissertation was demanded more than once. By reviewing seperate scientific specialties, it was found out that the dissertations in sociology had the highest demand in 2010 and 2012 (1,5 and 1,47 respectively). In other words, each requested dissertation on average was demanded 1.5 times. In other years, Df on the specialties of sociological orientation had a value of 1.2, but in 2013 it dropped to 1.05. In 2013, the highest Df = (1,3) was to the dissertations in pedagogy. Within the year, the greatest number of requests (497) has been received for the largest number of documents (382). But the greatest number of requests for pedagogical specialties falls on 2010 (835 requests for 730 documents). Distribution of the requests which arrived on the dissertations in Kazakh, on scientific specialties and demand factor are provided in Table 2. The analysis of thematic orientation of the requested dissertations in Kazakh has revealed that during 2009-2013 years dissertations are demanded almost in all scientific specialties (Table 2). The rating of scientific specialties on which most Fund’s dissertations are demanded, is given in Table3. In 2010, pedagogy, philology and economic specialties were in the lead. In 2012 and 2013, the demand of dissertations in these directions also takes the first position. The most requested dissertations in Kazakh language, as well as in previous years, were works in economy (in 2011, 588 requests for 425 dissertations, demand factor is 1.38), in pedagogy (in 2013, 497 requests for 382 documents, Df = 1.3), in philology (in 2013, respectively, 428 and 356, Df = 1,0,2), in jurisprudence (313 and 310 Df = 1.0). According to the findings, it is possible to state that the number of requested documents and arrived requests on them in 2011-2013 in pedagogy and philology was reduced almost twice in comparison with 2010. But interest to the documents in economics, jurisprudence, history, philosophy remains at the high level. Scientific directions on social sciences entered into the top ten of most demanded documents. The demand for the documents in Kazakh language on such disciplines as agricultural, veterinary, technical, ecology and other scientific specialties remains unsatisfied, due to the fact that the fund’s works in Kazakh on these specialties are not enough. Research assistants, teaching staff faculty and students of KazNPU Abai (328 requests for the documents on 12 scientific specialties including 164 requests for pedagogical orientation), Al-Farabi KazNU (respectively 273 and 14, the greatest number of requests is made on jurisprudence — 77), KazaSWTTU (Kazakh State Women’s Teacher Trining University) (181 and 12, including 75 requests on pedagogy) and etc. Analyzing the NC STI stored dissertation fund, it is revealed that the dissertations in Kazakh language amount 20.4% of the total number. In the fund of reports on R&D the language correlation is different. The total number of reports registered in the period of 1995-2013 is 24393, and only 692 are provided in Kazakh that makes 2.8%. This is 10 times smaller than the share of dissertations in Kazakh. However, it is necessary to note the positive tendency of the number growth of researches executed in Kazakh: 2006 — 28; 2007 – 64; 2008 — 73 (Table 4). Most part of the registered reports are on humanities — 87.0%, share of technical is 10.8% and the minimum number of works is on natural and exact sciences — 2.2% (Figure 6). Figure 6 – Percentage ratio of thematic coverage of the registered reports on research. Analysis of the demand for reports on research in Kazakh language has shown that the demand is not high enough because of their small number. 1. The total volume of demand for documents from the cumulative fund of dissertations is constantly growing and amounts 7.2%. The demand of the dissertations’ fund in Kazakh language has reached 35.74% from its volume and they are in annually increasing demand. 2. There is an acute need in the publication of abstract journals and collections of abstracts of (R&D) in Kazakh language, because until now they have come out only in Russian. 3. Currently, only one database in Kazakh language is created, this is a database of the dissertations defended in Kazakh, but it is not adapted to users’ work, therefore it is necessary to regularly engage in adaptation. 4. It is expedient to publish the editions of collections of abstracts on R&D and on paper and in electronic form and it is necessary to pay attention to the mechanism of advertising, announcing and mailing on regions. 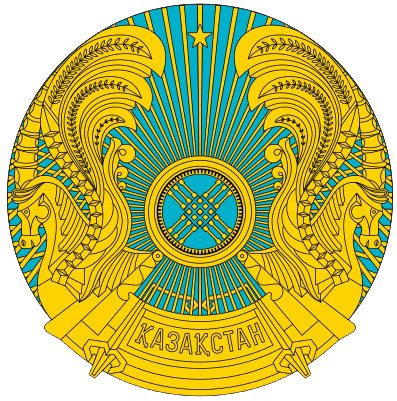 Then the potential of knowledge and the scientific and technological results accumulated in Kazakhstan in R & D state funds of dissertations and deposited manuscripts in Kazakh language will be demanded in due measure and will become an effective scientific, educational and economic resource of the country. 1 Arutyunov V. V. Some regularities of formation and demand of unpublished information sources in geological service of Russia//Library and associations in a changing world: new technologies and new forms of cooperation: Topic of 2003: Library and accessibility of information in the modern world: electronic resources to science, culture and education: Tr. Conf. / 10th Anniversary of Intern. Conf. “Crimea 2003” — Moscow, Russian National Public Library, 2003. V.3. 408 p.
2 Arutyunov V.V The demand for scientific and technical production of geological organizations. The account and analysis system. / / STI. Ser. 1.-1996. — № 1. 13-18 p.
3 Arutyunov V.V The chronological analysis of demand of dissertations and reports on R & D in the field of geology and subsoil use / / STI. Ser. 1.-1996. — № 4. 20-25 p.
4 Arutyunov V.V Analysis of the contribution of research organizations of geological service of Russia in creation of demanded scientific and technical products // STI. Ser.1. — 2001. — № 6 23-29 p.
5 Arutyunov V.V Konstantinov, A.S. Assessing the contribution of managers Russian Scientific Research Institute of geological service in creating demand scientific and technical products // STI. Ser.1. — 2005. — № 7. 25-27 p.
6 Marshakova I.V. System of citation of the scientific literature as a means of tracking science development. — Moscow: Nauka, 1988. – 288 p.